At Worby Groner Edelman, our experienced White Plains motor vehicle accident attorneys represent clients who have been injured in all types of motor vehicle accidents. No one ever wants to be involved in a car accident, but accidents caused by a drunk driver can be especially devastating. All of us have heard the horrifying statistics about the trail of destruction left by drivers who drive while intoxicated. Drunk drivers have been responsible for unnecessary deaths, and devastating and permanent personal injuries with lifelong consequences. With the holidays now upon us, many partygoers make a bad and all too often tragic choice to get behind the wheel after they have had too much to drink. Sometimes, depending upon the particular circumstances and conditions, one drink can be too many. Accidents caused by drunk drivers have caused too many tragedies. So first and foremost, practice safety first, and use your own common sense. Don’t get into the driver’s seat when you’ve been drinking – and remember that one of the many negative effects of excessive alcohol consumption is to make you think that you’re not intoxicated when you’re already well past the point of sobriety. Choose a designated driver before you have your first drink. Be aware that police departments make it their business to cast a wide net to help prevent drunk driving accidents, and that local district attorneys are resolute in their determination to prosecute drunk drivers. Judges have awarded stiff jail sentences to defendants convicted of DWI offenses. 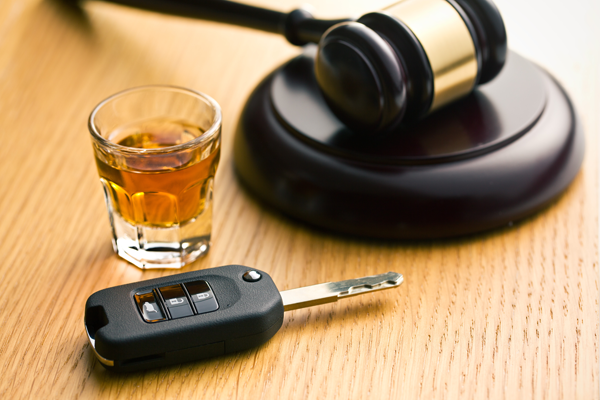 But if you or a loved one has been a victim of a drunk driver, the civil justice system affords you rights too. If you are involved in a motor vehicle accident in New York, in most cases your own insurance company will cover your medical bills, even if the accident was caused by a drunk driver. Medical bills for passengers are covered by the vehicle in which they were a passenger, and medical bills for pedestrians are covered by the vehicle that hit them. Under New York law, a victim of a motor vehicle accident has only thirty days to file a claim for this type of coverage, called No Fault Insurance. Depending upon the seriousness of your injury, you may have the right to bring a lawsuit, and obtain a monetary award for pain and suffering against the insurance company of the offending vehicle. You might also have a lawsuit against a bar or other liquor serving establishment which continued to serve an individual when it knew or should have known that he or she was already intoxicated. This type of lawsuit – known as a Dram Shop Action – can also be brought against an individual person, such as a homeowner who made alcohol available to an intoxicated person. Contact us if you were the victim of a drunk driving accident, or if you were involved in a motor vehicle accident of any type. The attorneys at Worby Groner Edelman are experienced in motor vehicle and drunk driver accident law, and can help you navigate the process, answer your questions, and help to get you the financial damages which the law entitles you to receive. You’ve already suffered through the effects of the accident, and are dealing with the effects caused by a drunk driver. Call Worby Groner Edelman LLP for a free, no obligation consultation; there is never a fee unless we are successful.